Inspired by a true story, “Playing the Assassin” runs until November 8th at DTC in downtown Wilmington. Delaware playwright David Robson based this play off the real life story of former NFL players Jack Tatum, of the Oakland Raiders and New England Patriots player, Darryl Stingley. In 1978, Tatum dealt Stingley a blow that left Stingley paralyzed from the waist down. Robson said he was around 12-years-old when it happened and recalled seeing the brutal play on television, and it really affected him. Neither Tatum nor Stingley, reportedly, reconciled before their deaths. “I started writing the play soon after I read the [Tatum’s] obituary,” said Robson. In “Playing the Assassin,” Frank, the Tatum-esque character played by Ezra Knight, is confronted by a young television executive, Lewis, played by Garret Hendricks. Lewis is looking to capitalize off the hit that overshadowed Frank’s career. The play may seem like a story about the harsh realities of professional football, but Knight corrected that assumption. The play is more complex than that he explained. Knight said even though the play is about two black characters, the issues they tackle are universal. A sentiment echoed by Hendricks. 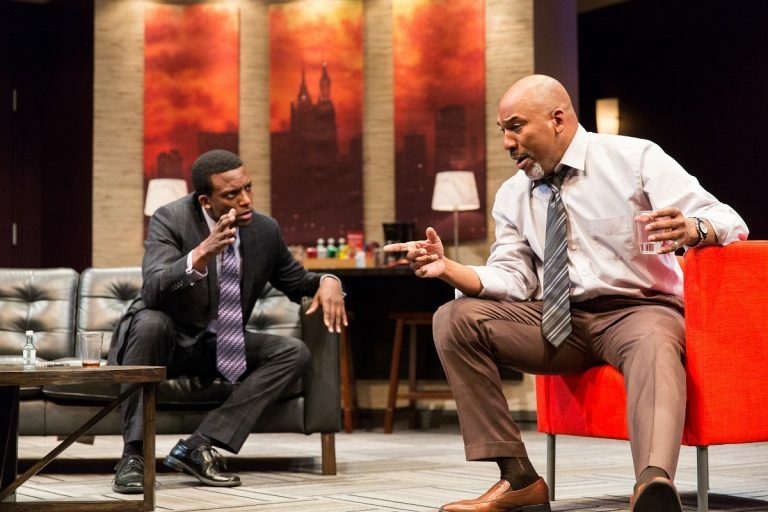 Because the play does not revolve around the black experience, it allows the audience to see two men going through something that could have happened to anybody said Hendricks. Knight called it a multicultural experience that works – and apparently it is working. Robson said he’s gratified when someone, who is not a sports fan, comes up to him after seeing the play and says the play touched a cord with them. Playing the Assassin is currently in production and runs until November 8th at the Delaware Theatre Company in downtown Wilmington.